Space travel, psychedelic trips, Ibizian dances ... don't tell me you're tired ! Get ready for Hawaiian shirts, Lamborghini Jalpas, and sea-side cocktails while the police arrest some scoundrels (unlike today) ! 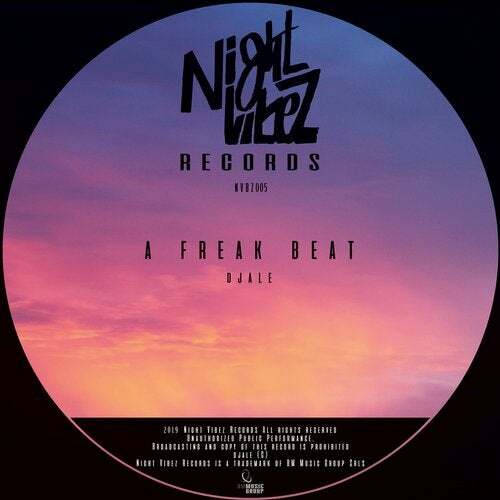 Night Vibez Records is pleased to present (I have to write like this or else the boss gets irritated) the new Djale EP: "A Freak Beat". Mastery, research and creativity are at their peak--you will love this album like crazy ! You won't be able to stay away from the funky sounds and the '80s references that emerge from Djale's genius.